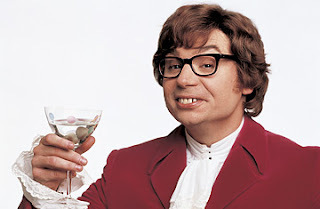 Kryptonian Warrior: Mike Myers To Return As Austin Powers In A Fourth Film! Mike Myers To Return As Austin Powers In A Fourth Film! It's being reported that Mike Myers has signed the deal to return as 'Austin Powers' and take control of the role for "Austin Powers 4." This marks the return of 'Austin Powers' since 2002 in 'Goldmember'. No information on who will be directing, writing the script, what the storyline will be about or who else is starring besides Myers but I'm sure all of that will be announced in time.